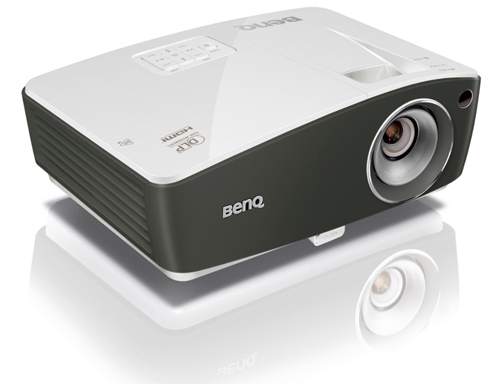 At $599, the BenQ TH670 is an inexpensive, crossover 1080p projector for home and office. The banner at the top of BenQ's TH670 webpage reads "Home Entertainment Projector," and some features--notably full 3D support and a fast lag time for gaming--aren't of much interest for office use. But the model name shows up on both the Home Theater and Business lists on BenQ's website, and the projector can do a credible job in either role. The 1080p resolution and 3000 lumen rating are appropriate for presentations with fine detail in a mid-size conference room and for HD video that can stand up to ambient light in a family room. More important is that the TH670 delivers suitable image quality for both applications, which isn't true for much of the competition. Most DLP models are tweaked to show fewer rainbow artifacts for either data images or video, for example, depending on what the model is meant for. The TH670 shows very few of these artifacts with either kind of image. Color Preset Modes. The TH670 offers four customizable color modes: Bright, Vivid, Cinema, and Game. In addition, there are two User modes, which you can rename, so you don't have to remember which one is meant for what. As a practical matter, for business presentations and other data images, Vivid, Cinema, and Game modes all deliver well-saturated, suitably eye-catching color. For video and photos, Bright mode has an obvious green bias, as is typical for the brightest modes in many projectors. Color in the other three modes is more than acceptable overall, but a bit short of excellent. In a direct comparison with the calibrated projector we use as a reference, it's easy to see that the TH670's colors are a little dull and dark in all modes. Without side-by-side images, however, colors look obviously dark only in Bright mode. Whether you'll notice the issue in other modes will depend on how well-trained an eye you have. However, a minor loss of color fidelity is forgivable for such an inexpensive projector. Color balance is excellent in all modes, with neutral grays at all levels from black to white. Data Presentations. Not all 1080p projectors hold detail equally well. The TH670 does swimmingly on this score. White text on black, for example, was easily readable at 6 points in my tests and black text on white was easily readable at 5 points. It also does an excellent job of resisting pixel jitter and moire patterns on images that tend to bring both out. Results can vary depending on your graphics card, but in my tests, the image was as rock solid with a VGA connection as with HDMI. 2D Video. Handling detail well is an obvious benefit for HD video too. In addition, the test unit did a good job of avoiding posterization and holding shadow detail, even on our most demanding test clips. I saw some noise, but less that with many models in higher price ranges and only in scenes that tend to cause it. Contrast ratio is a bit low, but it's obvious only in theater dark lighting. With ambient light in a family room, the benefits of a higher contrast ratio tend to get washed out in any case. I ran into one odd behavior when I was connected to a Blu-ray player as opposed to a PC or FiOS. Every time I started playing a DVD or Blu-ray disc, the TH670 switched to Bright mode, forcing me to reset it to the mode I wanted. BenQ insists this is by design, but it's hard to understand why, considering that all of the other modes offer better color quality. In any case, if you want to use one of the other modes, you'll have to switch to it every time you start a movie. 3D video offers essentially the same quality as 2D in most ways, but with only one color preset. It also does well on those aspects of image quality specific to 3D. I didn't see any crosstalk and saw just a hint of 3D-related motion artifacts in the most demanding clips. Rainbow artifacts are a minor issue at worst for the TH670. With data images, the only time I saw any was with one test image that's designed to make them show. With video, I saw some with clips that tend to bring them out, but less often than with many home entertainment projectors. Anyone who is sensitive to these artifacts will see them with the TH670, but infrequently enough with most material that it's unlikely to be annoying. The potential exception is with black-and-white input, where they show more often. Can I hook up multiple devices using the source or homie spotter?